The Jarvi laboratory investigates parasite influences on infectious disease. The lab team currently has two main areas of investigation: avian pathogens and rat lungworm disease. Susan Jarvi is a professor of pharmaceutical sciences at the University of Hawai‘i at Hilo. She researches host-parasite and parasite-parasite interactions and influences on transmission and virulence of infectious disease. Jarvi is studying tolerance to infectious disease as evidenced through a recent population explosion of a low elevation native Hawaiian bird population despite high prevalence of Plasmodium infection. 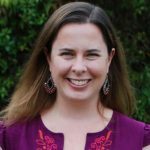 Her goal is to characterize and begin to define potentially novel mechanisms involved in tolerance to malaria in this relatively simple, geographically-isolated, natural disease system. 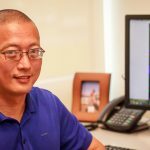 Jarvi’s lab, located at the Daniel K. Inouye College of Pharmacy at UH Hilo, currently has two main areas of investigation: avian pathogens and rat lungworm disease. The research team also is interested in continued development of molecular-based methods for the detection and evaluation of pathogen diversity, and development and implementation of vaccines. A main focus of the Jarvi lab is host-parasite and parasite-parasite interactions involving the genetic analysis of avian pathogens (Plasmodium relictum and Avipoxvirus) and avian hosts toward a better understanding of the evolution of disease susceptibility. While most species of Hawaiian honeycreeper are highly susceptible to avian malaria, populations of the Hawai‘i ‘amakihi (Hemignathus virens) are thriving at low elevations on Hawai‘i Island despite high infection rates of Plasmodium relictum. Hawai’i ‘amakihi (Hemignathus virens). Photo by Noah Kahn/USFWS. 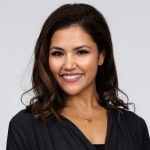 Toward determining the genes involved in survival, Jarvi and her research team are evaluating major histocompatibility complex (MHC) genes in ‘amakihi by traditional cloning and sequencing as well as by 454 Roche platform next-generation sequencing. They also have conducted amplified fragment length polymorphism (AFLP) studies to look for candidate genes involved in survival. 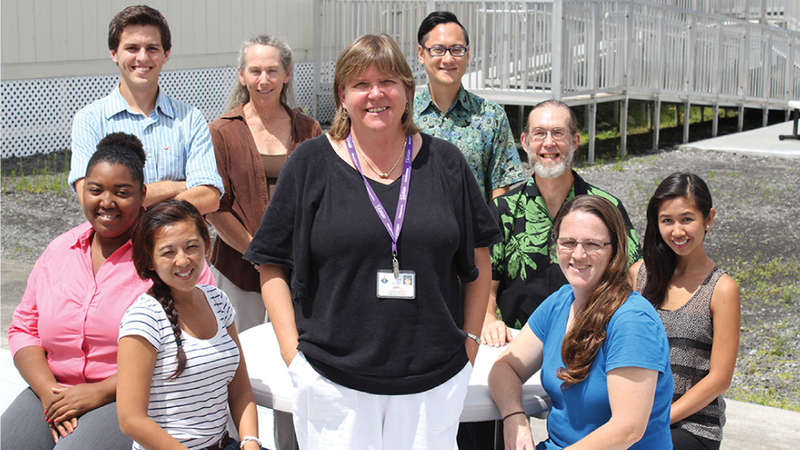 Jarvi’s and her team are the leaders in molecular diagnostics for both malaria and poxvirus in Hawai‘i. Recently, the population of nene geese near the Kaua‘i airport was determined to be too large and causing interference with air travel. In the host-parasite studies of susceptibility of ‘amakihi to avian malaria, MHC analysis revealed a significant association between survivorship and the presence of one or more MHC alleles. This is the first documentation of an MHC association with survival to malaria in Hawaiian honeycreepers. The research team also conducted AFLP studies to look for candidate genes involved in survival. Sequence information was obtained from a total of 139 clones of AFLP bands. They identified five genes that are candidate genetic markers for survival. Currently Jarvi and the research team are finishing a statewide survey of diversity of avian malaria in Hawai‘i and analyzing data from host genetic studies. They hope to be able to provide needed data to apply towards conservation efforts. 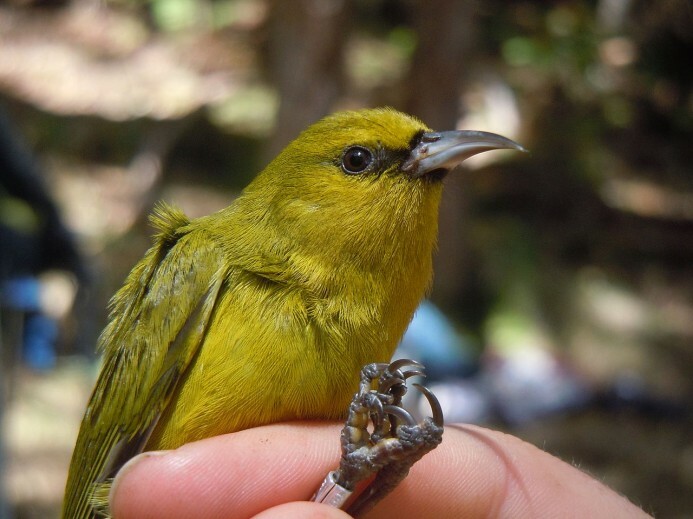 “The totality of this research is inherently conservation work and has the potential to help save native Hawai‘i honeycreepers,” Jarvi says. 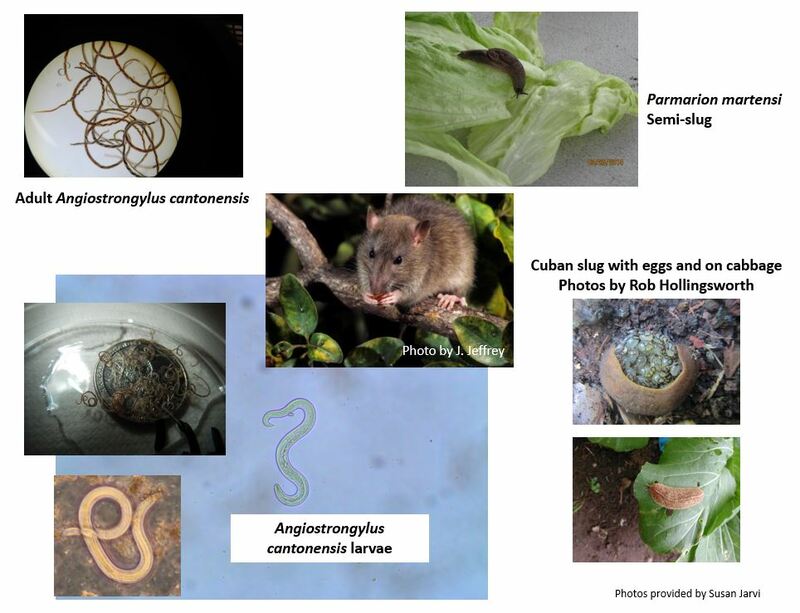 A second research focus of Jarvi’s lab is rat lungworm disease (RLWD) caused by the parasite Angistrongylus cantonensis. “Hawai‘i, specifically the Puna district on the Island of Hawai‘i, is the epicenter for RLWD in the U.S.,” says Jarvi. Jarvi and team have completed two trials in local rats with USDA Animal and Plant Health Inspection Service (APHIS). One was to see if detection of parasite DNA was possible in rat blood in hopes of developing an early diagnostic test for humans. The other was to determine the efficacy of a vaccine against RLW in local rats (they concluded that a vaccine developed in Spain was not effective in stopping the development of RLW in rats under the conditions of the trial). See Jarvi’s website on RLW for more information. 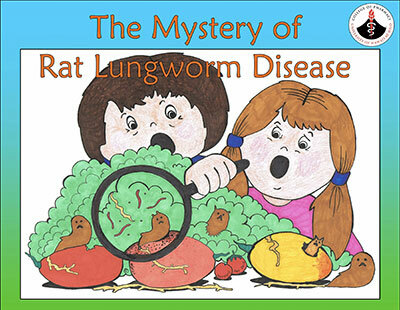 The Mystery of Rat Lungworm Disease is a fun-filled activity book designed to help elementary-age children learn what to look for in their gardens and vegetables. Jarvi and other researchers in the state have made considerable progress towards reducing RLWD through educational and research approaches. They have provided public forums, talks, handouts, brochures and are in the process of integrating RLWD education into the Hawai‘i DOE curriculum. They produced and piloted an activity book, The Mystery of Rat Lungworm Disease, in four East Hawai‘i schools for second graders. “This was very well-received, and we are in the process of distribution across the islands and state,” she says. 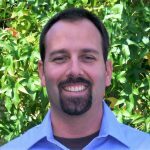 The researchers also are developing a “junior investigator scientific journal” that will encompass many STEM disciplines while learning about RLWD for tenth grade students. Jarvi and the RLWD research team are working with catchment tanks to test filtration and UV systems to see if RLW larvae can make it through. They conducted a pilot study to test volunteers for the presence of RLW antibodies to better understand the prevalence. They are working with Puna Medical Center and Clinical Lab for blood collection. Meanwhile, they continue to educate the community about RLWD and how to best prevent it. Future goals of the RLWD project are to continue to educate the public toward minimizing infection, to develop reliable diagnostics for health providers, and develop management plans that would reduce slug, snail, and rat population numbers. 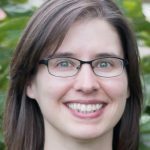 Jarvi received her master of science in veterinary and animal sciences (avian genetics) from the University of Massachusetts at Amherst, and her doctor of philosophy in biology (immunogenetics) from Northern Illinois University at DeKalb. Published Jan. 14, 2015; updated April 17, 2018.